With OPC Expert you don’t need any experience to troubleshoot and fix your OPC connectivity issues. 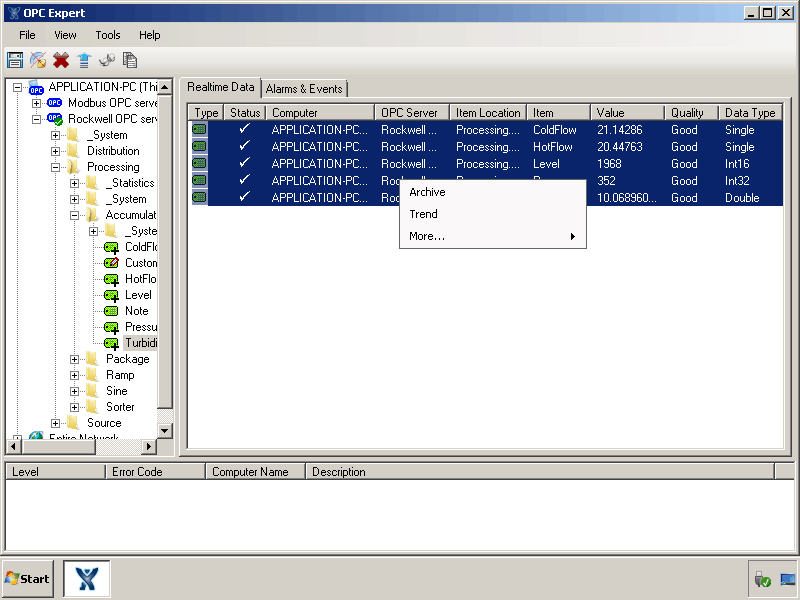 OPC Expert does the heavy lifting for you to quickly and automatically diagnose OPC and DCOM issues… and it doesn’t stop there. 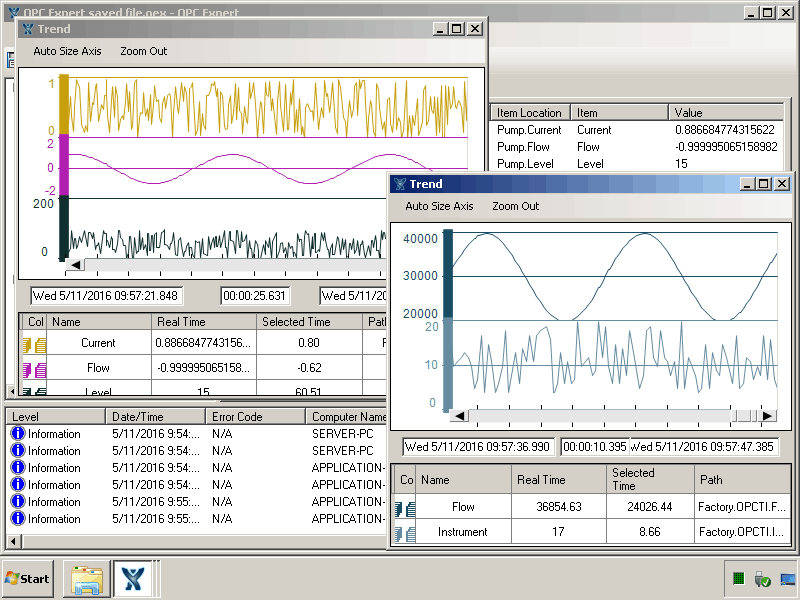 OPC Expert offers rich features including OPC trending, bridging, tunneling, monitoring and much more. Time is money, and that’s why automation engineers and technicians rely on OPC Expert. 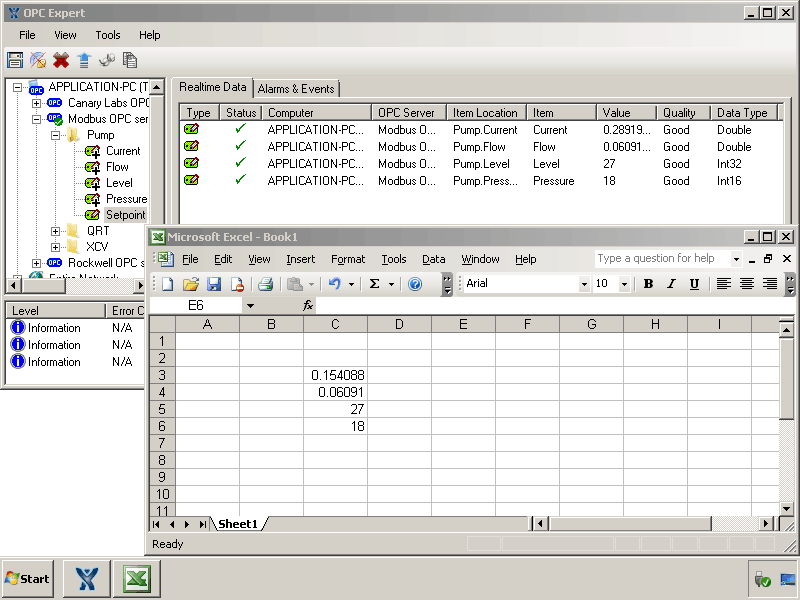 OPC Expert is the tool industrial personnel turn to when data from control systems isn’t flowing. OPC Expert diagnoses OPC and DCOM network issues and helps resolve issues quickly, and that means less downtime. OPC Expert is the tool engineers and technicians turn to first to solve OPC and DCOM connectivity issues. Before wasting time trying to fix the problem yourself by waiting for IT or hiring expensive consultants, try OPC Expert. 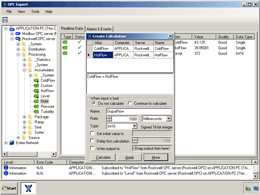 OPC Expert is a free tool that is easy to use and doesn’t require any OPC experience. 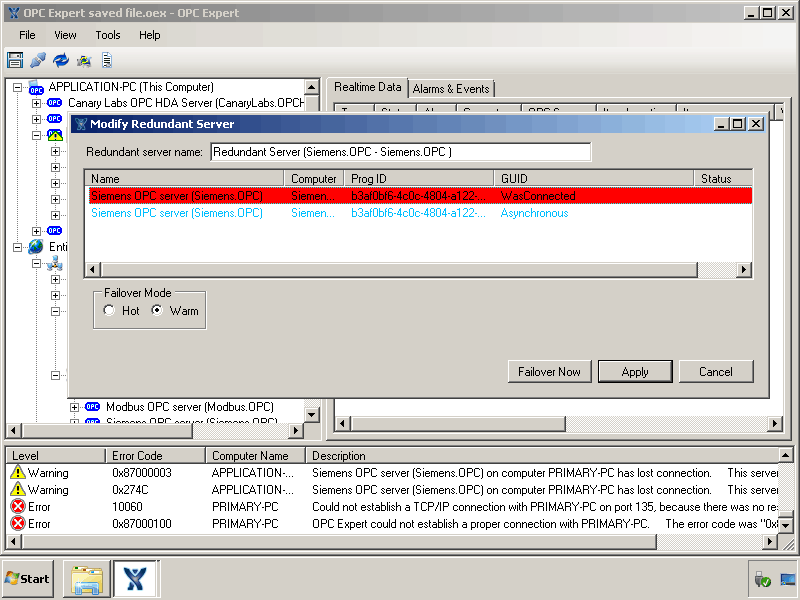 View data from any OPC server including OPC Classic (OPC DA, A&E and HDA) OPC .NET (OPC Xi), and OPC UA. With one click of the mouse button, you will start visually trending your real-time OPC data. OPC Expert makes it simple. 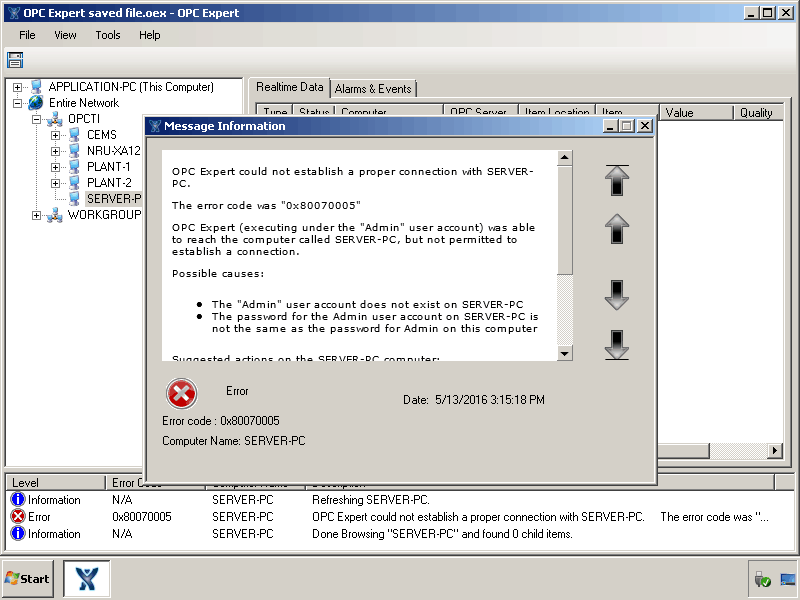 Engineers and technicians use OPC Expert to increase the reliability and availability of OPC servers. OPC Expert is a reliable way to bridge OPC servers and transfer data between dissimilar control systems. OPC Expert has built-in OPC tunneling that enables the transfer of OPC data by a mechanism other than DCOM. View real-time OPC data, create complex calculations, generate reports and more with OPC Expert. 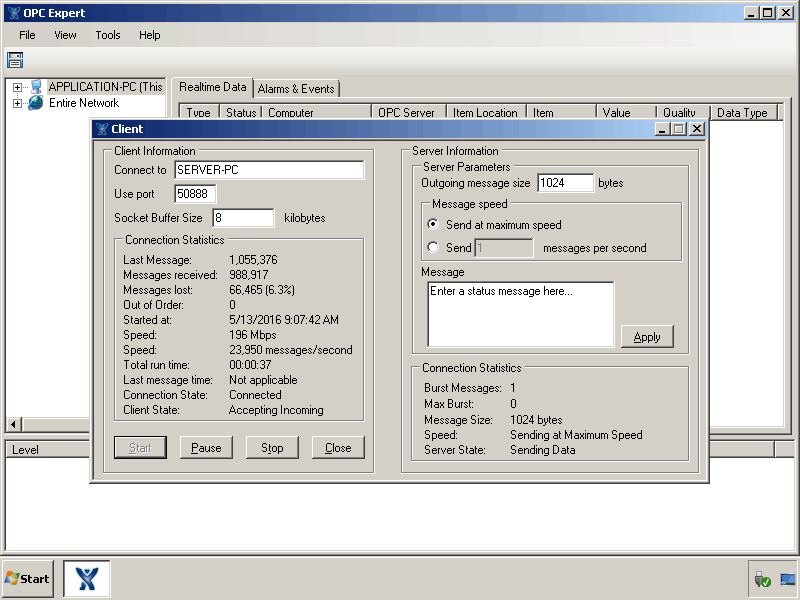 OPC Expert’s network monitoring tool captures real-time network disruption problems and modifies communication parameters. 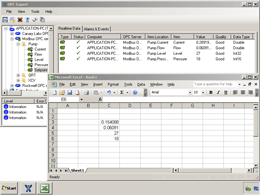 Create powerful calculations using OPC Expert’s calculation engine without programming or complicated script. Archive data easily with OPC Expert to Microsoft SQL (MS SQL) databases, XML files or even CSV files. 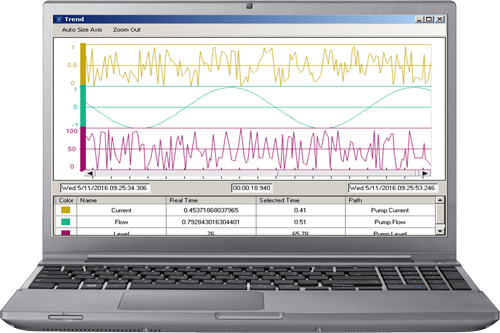 Monitor OPC data by continually checking individual OPC communication components directly in real-time. 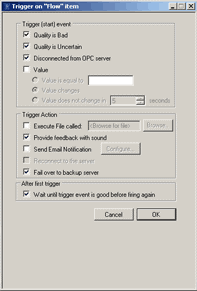 OPC Triggers enable automated actions – such as email notifications, sounds and scripts – based on user-defined events. 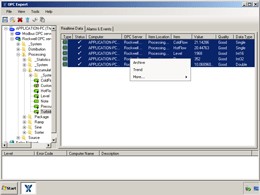 OPC Expert provides step-by-step instructions to help establish initial OPC connections and troubleshoot issues. Now, there’s no need to buy multiple OPC client tools from multiple vendors – OPC Expert has what you need in a single application. 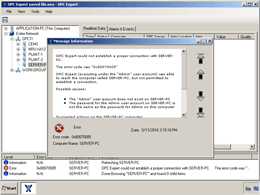 OPC Expert does not require installation, does not change Windows Registry and is free to download, making it safe to use on any computer. Automation personnel with little to no OPC experience will appreciate OPC Expert’s intuitive design. It automatically diagnoses communication problems and provides actionable suggestions. With one click of the mouse button, you will start visually trending your real-time OPC data. 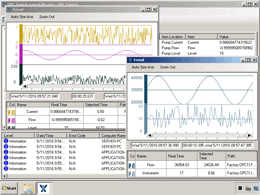 Designed for reliable 24 X 7 operation, the OPC trend enables operators to visualize their real-time data, engineers to analyze historical data, and automation personnel to quickly troubleshoot problems. 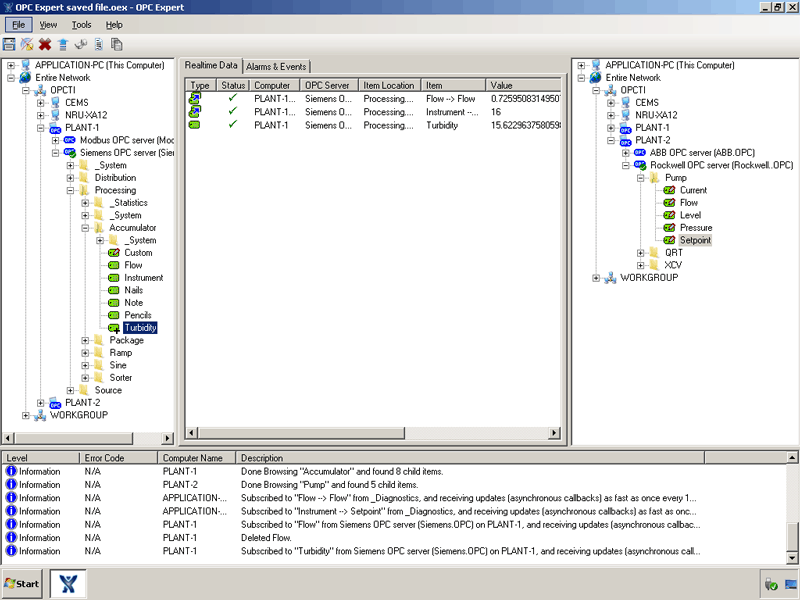 There is no need for multiple OPC client-side tools; with OPC Expert you get all the features you need in one application. 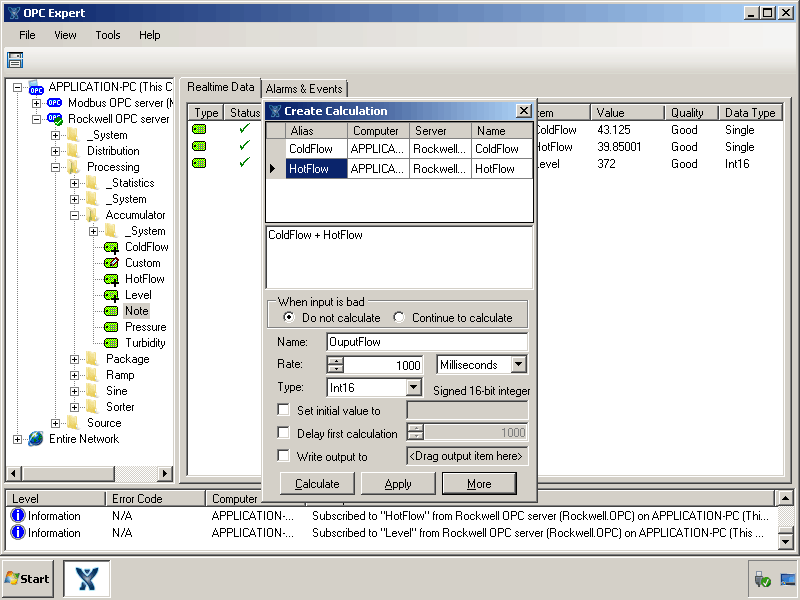 With OPC Expert, you avoid having to purchase, install and maintain multiple OPC utilities. OPC Expert provides the most common OPC tools needed to create, monitor and maintain your OPC network. With OPC Expert, create a secure and reliable OPC network. The OPC Training Institute (OPCTI) is the driving force behind OPC Expert. Since 2007, OPCTI has trained thousands of engineers, technicians, maintenance personnel and industry professionals on how to use, troubleshoot and leverage OPC technology. OPCTI’s certification program ensures graduates can set-up and maintain reliable OPC networks. While OPC Expert started out as a troubleshooting tool, the product has evolved immensely over the past several years based on real-world applications and testing by industry professionals. OPCTI now makes the tool available to anyone who wants to use it. OPCTI is a supporting member of the OPC Foundation. 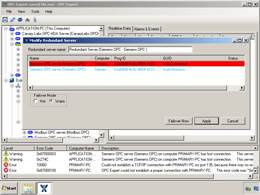 Download OPC Expert for free today!